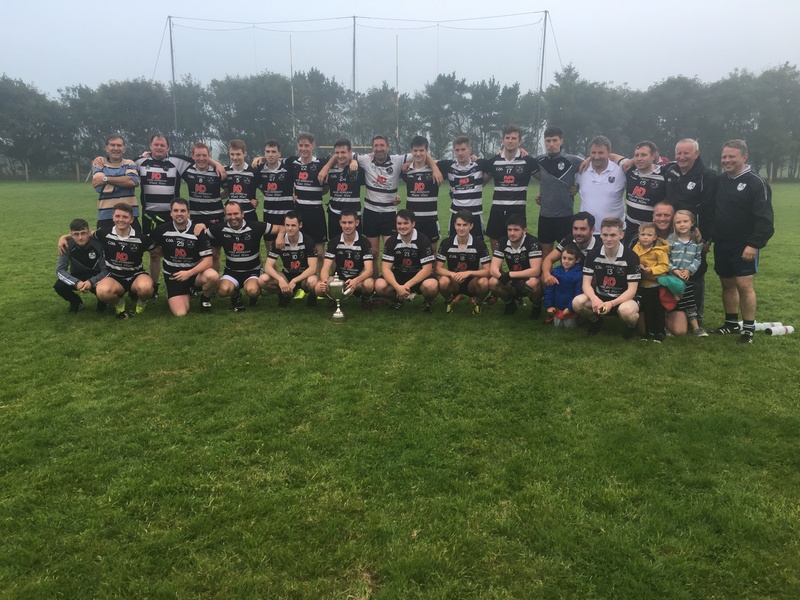 Castletownbere were crowned Beara Junior B champions for the 8th time last Saturday evening when they had a point to spare over Urhan to claim the Donal Jim O’ Sullivan cup they last won in 2013. Before the game started a minute silence was held for former Urhan, Beara and Cork footballer Connie Murphy. With dense fog covering the Cahermore venue, it was Urhan who made the brightest start, Turlough Connolly narrowly missed a goal opportunity in the first minute, but Urhan continued to press forward, with a free from Sean O’ Sullivan and a point from Martin O’ Neill gave Urhan a 2 point lead after 6 minutes. Castletownbere now started to exert their control on the game. Adam Hurley slotted over a free in the 12th minute. Dean Murphy kicked over 2 quick points to give Castletownbere a 0-3 to 0-2 lead after 15 minutes. Drama arrived in the 18th minute when referee John Kirby awarded a penalty to Urhan in the 18th minute. Sean O’ Sullivan stepped up only to see his penalty saved by experienced Castletownbere Goalkeeper David Kelly. The referee spotted an infringement during the penalty being taken and ordered the penalty to be retaken and Kelly pulled off another great save. Castletownbere went down the field and kicked over 2 points with a free from Dean Murphy and point from Jason Walsh to give Castletownbere a 3 point lead after 23 minutes. Martin O’Neill kicked over Urhan’s first score for 20 minutes with a well taken point in the 26th minute but it would be Castletownbere who would finish the stronger with points from Liam Hanley and Adam Hurley to leave the half time score Castletownbere 0-7 Urhan 0-3. Straight from the throw in for the Castletownbere moved up the field and John Paul Sheehan narrowly missed a goal opportunity. This sparked Urhan into life and Martin O’ Neill kicked a point for Urhan in the 32nd minute to reduce the lead to 3 points. Urhan had the majority of the procession in the 2nd half but were unable to convert this into scores. Sean O’ Sullivan kicked over a point in the 43rd minute to cut the lead to 2 points. In the 48th minute Urhan were awarded another penalty, and while Urhan changed their penalty taken the result was the same as in the first half with David Kelly diving full length to his left to keep his clean sheet intact to complete a hat-trick of penalty saves. Urhan continued to lay siege to the Castletownbere goal and Martin O’Neill reduced the game to a point game in the 58th minute. 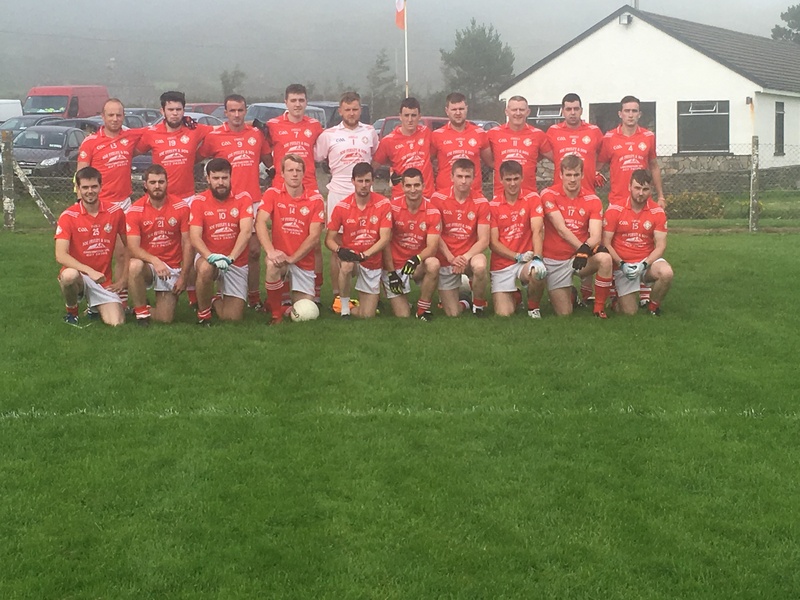 Castletownbere won the resulting kick out and went up the field and won a free which Adam Hurley converted to give Castletownbere their first and only score of the second half in the 61st minute. 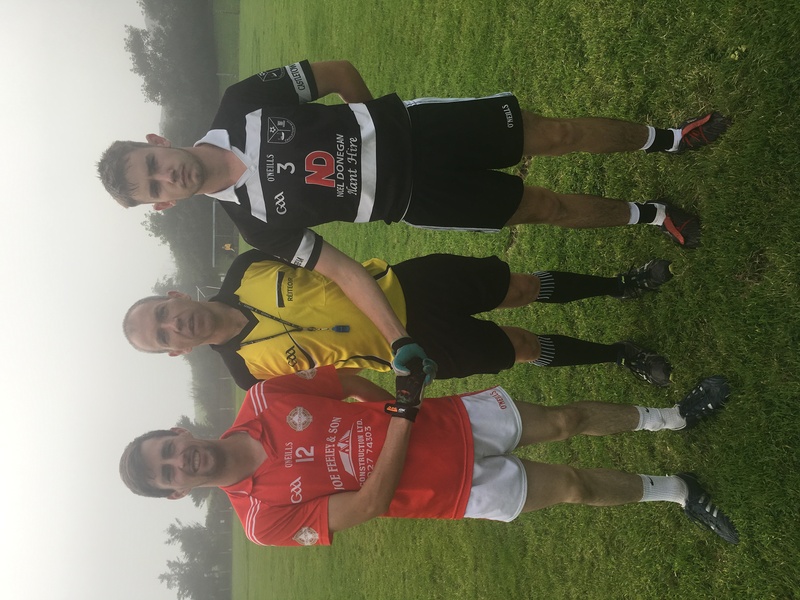 Urhan continued to press forward and Sean O’ Sullivan kicked over a point deep into injury time but this proved to be the last score of the game as Castletownbere emerged winners 0-8 to 0-7. 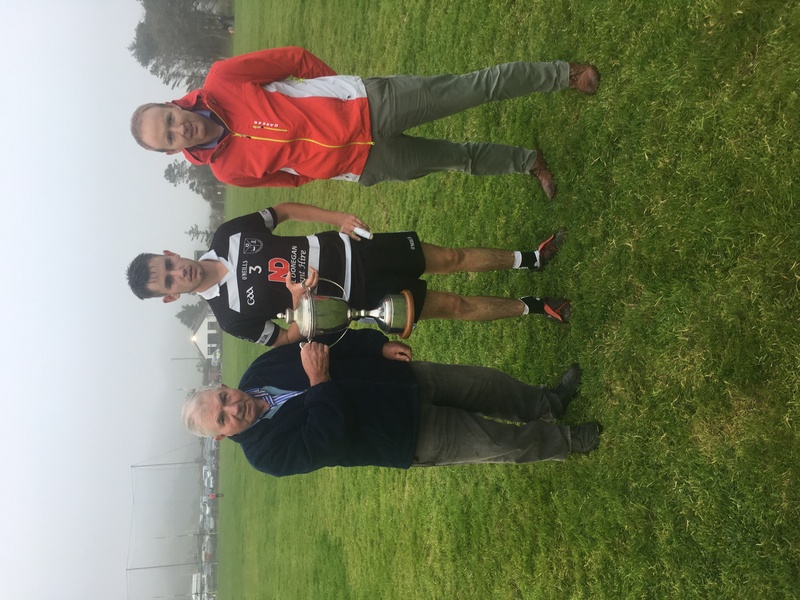 After the game Patrick Jim O’ Sullivan presented the Donal Jim O’ Sullivan cup to Castletownbere captain Joseph O’ Neill. 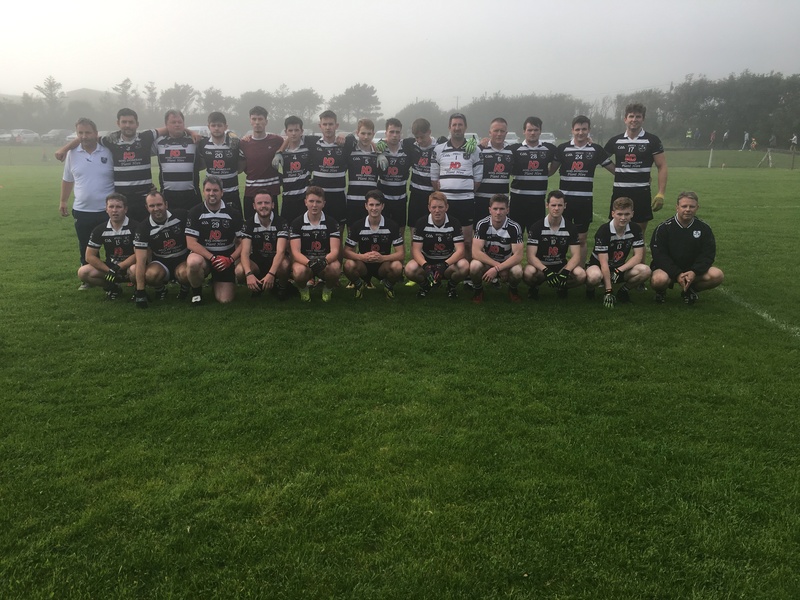 Castletownbere: David Kelly, Joseph O’ Neill, Sean B O’ Sullivan, Sean Walsh, Micheal Murphy, Donnagh B O’ Sullivan, Fiachra Murphy, Liam Hanley, Dean Murphy, Jason Walsh, Sean O’ Regan, Cormac Whelan, Adam Hurley, John Paul Sheehan, Garry Hurley. Subs. Robert Murphy for Garry Hurley, Michael O’ Sullivan for John Paul Sheehan, Craig Murphy for Conor Whelan, Conor Power for Sean O’ Regan, Con O’ Sullivan for Sean Walsh. Urhan. Ger Dunne, Emmet Lyons, Niall O’ Dwyer, Joseph Sheehan, Alan Dunne, Kieran O’ Sullivan, Cian Crowley, Micheal Shea, Brian Healy, Sean O’ Dwyer, John Paul Sheehan, Sean O’ Sullivan, Martin O’ Neill, Turlough Connolly, Kevin Hartnett. Subs. Luke Daly for Sean O’ Dwyer, Luke O’ Sullivan for Kevin Hartnett, Ryan Quirke for John Paul Sheehan, Kevin O’ Dwyer for Brian Healy.